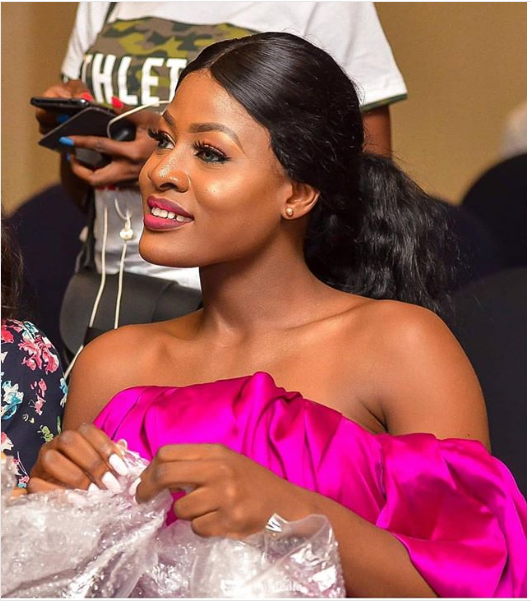 BBNaija star Asogwa Alexandra Amuche Sandra aka Alex_Unusual hosted Fund Raising Event To Aid Breast Cancer Patients. The star was ‘unusually’ beautiful in different shades of pink dress. Hosting Duties For @projectpinkblue Fund Raising Dinner To Aid Breast Cancer Patients. You All Know That Only @medlinboss Can Come Through In Such A Kicka$$ Way. Last night will forever be etched in my heart. @projectpinkblue Thanks a lot for the fulfillment and inner peace I feel this morning. Time and money spent helping people do more for themselves is far better than giving just because you can. Now I understand why the Bible says we should emulate Christ like qualities. We become His influence, his hands and heart for everyone around us. God intervenes in people’s lives all the time but we seldom document this special faith and hope building events. Yesterday was a hope raising day and I’m happy I was part of it. Zendaya joins Lupita Nyong’o and Taylor Hill, becomes the newest face of Lancôme, a global ambassador for the French beauty brand.